In 2009, we recorded a mini-album. Six tracks, 30-minutes and 44-seconds long: not quite an LP but perhaps more substance than an EP. It’s a little-known fact that the earliest driver for making that record was because we thought we were going to break up. Our founding drummer was considering moving overseas for work. I remember sitting in a place called The Bog (literally and figuratively) and agreeing that before he does so, we should demo the new songs we had for posterity. Things worked out differently: somewhat unconsciously, Love Hotel grew into a fully-realised creative project. The financial and conceptual economy of a mini-album format helped enabled that. With three “albums” to date, in a climate of single-song consumption, the EP makes sense as a focused creative and commercial undertaking for established independent artists like us. Whereas it used to be just a bridge between bands’ formative period and their first album. Yes, some creative projects simply require the artistic scope and financial scale of traditional album length; however the relative production cost of the EP has the potential to increase visibility simply through greater frequency of releases. Great content, more consistently. Given the challenges of short promotional campaigns and transactional listening behaviour, short-form releases help maximise value for the artist. Intuitively, an EP feels like a collection of about five songs that aren’t an extension of a parent album lifecycle. That is, something creatively and promotionally distinct from the maxi single typically containing b-sides from related sessions or alternate versions of existing material. “Billboard classifies EP as 4 to 6 songs. However, according to Recording Industry Association of America, an EP is defined as 3–5 songs, whereas a single is allowed to contain up to 4 songs,” (Wikipedia). In practice, EP and LP definitions are less important as the direct-to-fan model allows artists to operate outside of traditional music sales channels and service level agreements. Thom Yorke’s eight-track record, released via BitTorrent Bundle, is a great example of subverting these norms. Most media outlets refer to Tomorrow’s Modern Boxes as an album (without a diminishing prefix). Then again, even Led Zeppelin IV is just eight-tracks long. A smaller release is understandably less attractive for a label partner due to diminished marketability and profitability. From my brief time with a major, this seems to be a supply chain consideration. Five songs net less profit margin than 10. EPs sell less than albums; therefore it’s difficult to rationalise a similar marketing budget — or vice versa. Manufacturing costs scale; a short run of CD EPs is comparably more expensive per unit. Limitations around access to traditional media reviews, awards and other uncreative promotional opportunities has perpetuated the album mindset. Consequently, label and publishing agreements often have terms around minimum track numbers of 10 per release. This obligates artists to the album format whether or not that's the right thing for the material. Interestingly, the Official UK Charts definition of an album (physical or digital) broadly includes that which “over 25 minutes OR more than four songs where the format does not qualify is a ‘Maxi’ single or remix single as defined by singles eligibility.” So, what if you decreased your band’s release cycle from a 10-track album every two-plus years to a five-track EP annually? You could justifiably tour often and have more unique, value-adding content to share with your communities over time. If you’re in the creative-promotional mode more frequently, wouldn’t that be better for your marketability and profitability long-term? 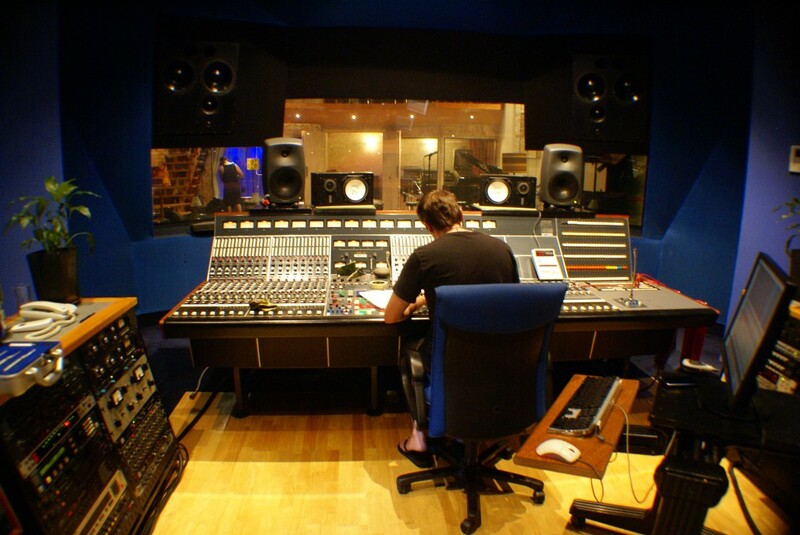 Building the capital to record a full album with producers, engineers and facilities of choice can be prohibitive. We’ve been fortunate to develop a network of incredibly talented and generous collaborators who have helped us to adhere to feasible budgets for each project; we’ve also had full-time jobs concurrently and invested heavily in our art. I estimate that our six-song release Love Hotel cost about 40% less to record, mix and master than our ten-song album, 11811. Cost-efficiency is attractive if you’re interested in recording more often. Assuming, like us, that you need at least one day of expensive studio time to capture a great drum sound, there’s a point at which fewer recordings no longer reduce the cost per song due to fixed expenses like studio day rates. At a high level, if you can cut corners with the other instruments through DIY or cheaper facilities, it’s also more economical per song to focus on an EP than a single. King Kapisi described in an interview the ultimate DIY set up: over the years he has acquired the skills and equipment to potentially record and mix a track, as well as shoot and edit a video for it, within one week. I respect his industriousness. Few artists have this independent production capability. For the right band with the right community, however, sponsorship through crowdfunding and subscription models may yet provide enough subsidised capital to output EPs at shorter intervals than albums given the more achievable budget. Ultimately, you have to do what is right for your art, your brand and your business strategy. We’re not a singles band. If money were no object, we would think much bigger than albums. I understand the conditioned (and perhaps nostalgic) appeal of an LP. When it comes to records of any length, however, value is a qualitative not quantitative measure. Success for me is recording songs I enjoy and travelling with my friends to perform them. For both practical and personal reasons, I’d like to increase the frequency of those experiences and the EP format is the most sustainable way to support that. How often do you record and distribute your music? What format works best for you? I’d love to hear about your experiences. Listen to music by Decortica.